The Japanese yen is unchanged in the Tuesday session. In North American trade, the pair is trading at 111.05, down 0.03% on the day. On the release front, BoJ Core CPI edged up to 0.5%, above the estimate of 0.3%. In the U.S, manufacturing and consumer confidence data was stronger than expected. CB Consumer Confidence jumped to 133.4, crushing the estimate of 126.6 points. 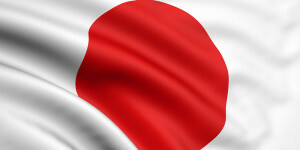 On Wednesday, Japan releases consumer confidence, while the U.S publishes Preliminary GDP and Pending Home Sales. Japanese inflation numbers have been a mix this week. BoJ Core CPI, the Bank of Japan’s preferred inflation indicator, improved to 0.5%. Earlier in the week, National Core CPI remained pegged at 0.8%, shy of the estimate of 0.9%. The Services Producer Price Index edged lower to 1.1%, missing the estimate of 1.2%. Despite an ultra-accommodative monetary policy, inflation remains well below the BoJ target of just below 2 percent. Rather than reduce the inflation target, the Bank will likely postpone yet again the timeline for its 2% target to fiscal year 2020 or beyond. Massive quantitative and qualitative easing have failed to coax inflation higher, so policymakers may have to consider other means of fiscal easing in order to encourage more spending and push inflation higher. The markets will get another look at inflation on Thursday, with the release of Tokyo Core CPI. The indicator is expected to remain unchanged at 0.8%. The Federal Reserve monetary policy has been one of gradual rate increases, as the U.S economy continues to expand. The Fed stance can be summed up as “proceed with caution”. Fed Chair Jerome Powell reiterated this position, with a dovish speech at the Jackson Hole Economic Symposium on Friday. However, the Fed has faced criticism about its current policy from both sides. Some analysts have argued that the Fed has been too aggressive, given weak inflation, while others say the Fed should tighten more quickly, due to the extremely tight labor market. Powell appeared to take a middle approach of raising rates, but slowly. The Fed has already raised rates twice this year, and a September hike is practically a given, with the CME Group estimating the odds of a hike at 96%. The odds of a December hike currently stand at 66%.